Oil stocks have taken a whupping lately. Chevron (CVX) is now the worst performer in the Dow this year. It's down nearly 15%. But the second-worst? It's not Exxon Mobil (XOM). 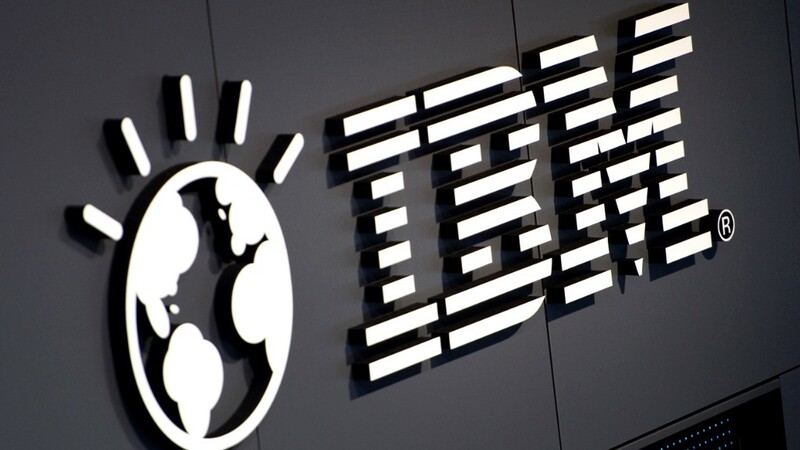 That dubious honor falls to tech giant IBM (IBM). Big Blue has been more Big Blah -- the stock has fallen more than 13% in 2014 as sales and earnings have dipped. Making matters worse for IBM? It's the only major "old" tech stock that is doing this poorly. Fellow Dow components Cisco, Microsoft and Intel are having phenomenal years. Cisco (CSCO) is up more than 20% even though the company has announced thousands of layoffs. Investors are looking past that and are excited about the growth potential in Cisco's security and mobile units. Microsoft (MSFT) has gained nearly 30% as investors have embraced the cloud strategy from new CEO Satya Nadella. And Intel (INTC) is up nearly 45%, making it tops in the Dow. Despite many people declaring the death of the humble personal computer in this world of smartphones and tablets, Intel is still generating strong sales growth from its bread-and-butter business of making chips for PCs. Why has IBM lagged these tech firms? Big Blue is having problems in Asia, where sales plunged 9% in the third quarter. Weakness in the four big BRIC emerging markets (Brazil, Russia, India and China) hurt as well, with sales falling 7%. The bottom has also fallen out of its hardware business, stuff like servers and mainframes. Sales fell 15% in the third quarter in that unit. And sales in its more profitable software divisions have slumped too as the company faces tough competition from the likes of Accenture (ACN) on the services side and Oracle (ORCL) and SAP (SAP) in software. Break up Big Blue? How can IBM fix what's ailing it? Big Blue may now simply be just too Big for its own good. It already is taking some steps to get rid of some assets, announcing in October that it would sell its chips unit for $1.5 billion. But will that be enough to get the company back on track? Some investors may be looking for IBM to follow the lead of other troubled tech firms and break up. Hewlett-Packard (HPQ), a company I've often mocked as an IBM Lite or Little Blue, announced in October that it plans to split into two firms: one for consumer tech and one for corporate tech. Shares are up more than 40% this year as investors like the plan. Symantec (SYMC) and eBay (EBAY) have also said they will restructure into two companies. IBM clearly needs to do something more dramatic. It can't just buy back stock and pay a big dividend and hope that will be enough to impress conservative investors seeking income. That's because most other big tech companies do that as well. Heck, even the mighty Apple (AAPL) pays a decent dividend these days that has a yield that can appeal to the widow and orphan crowd. The one thing that IBM does have in its favor is that it is pretty darn cheap. Shares trade for less than 10 times 2015 earnings estimates. But is IBM one of those classic value traps? A stock that is in the bargain bin for good reason? For what it's worth, Wall Street analysts (who are usually always looking on the bright side) have a consensus target price that's only 4.5% higher than current levels. Their recommendation is a hold ... which might as well be a sell. Maybe someone should ask IBM's supercomputer (and Jeopardy champion) Watson if the stock is worth buying. I'd be curious to hear what he? (it?) has to say about that.